On Wednesday, Vice President Mike Pence’s PAC announced that it had donated the maximum amount allowed to Dino Rossi. That’s right, Mike Pence -- the man who is adamantly anti-equality, anti-choice, anti-environment, and anti-social security -- wants Dino Rossi to win. That’s probably because he knows that Dino Rossi will be a rubber stamp for the Trump administration. 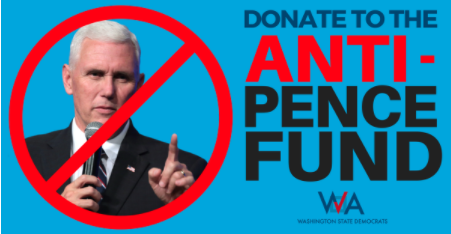 If you want to help counter the impact of Mike Pence’s PAC contribution, contribute to our Anti-Pence Fund. Dino Rossi might be getting help from Mike Pence and his PAC, but we have people power on our side! 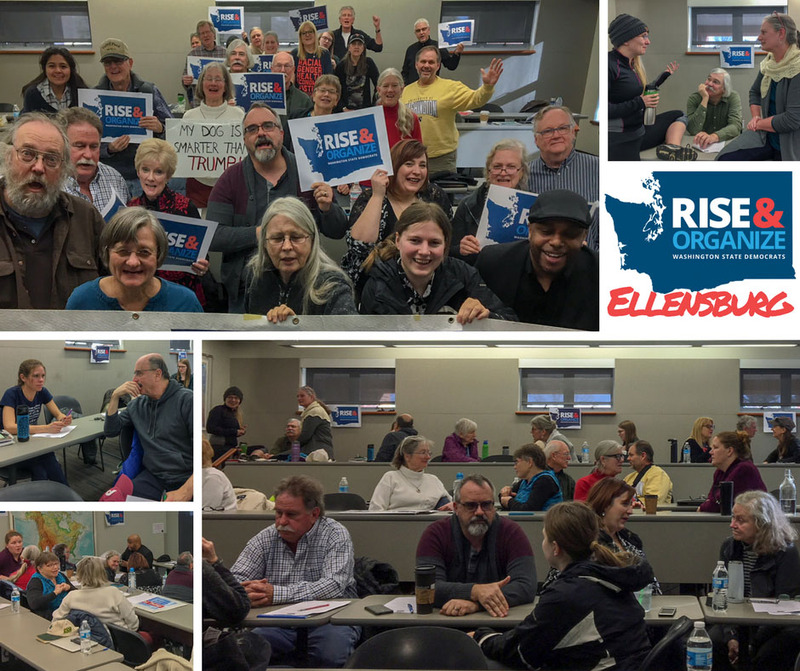 This last weekend, we trained 41 new volunteer leaders in our Ellensburg #FlipThe8th Organizing Academy. 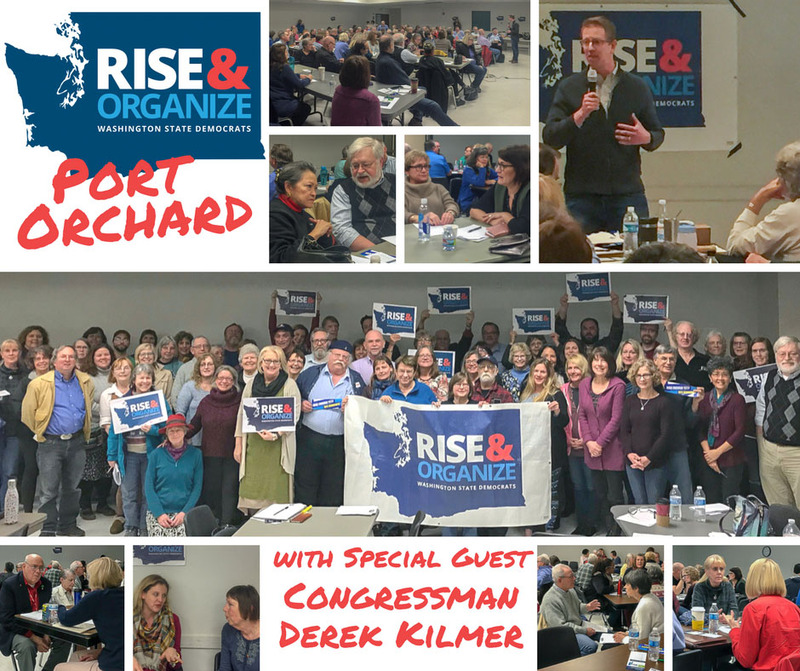 And that same day we had another 133 attend our Organizing Academy in Port Orchard with Special Guest Derek Kilmer! Training volunteers so they have the tools to activate their own networks and lead voter contact efforts is how we win in November. 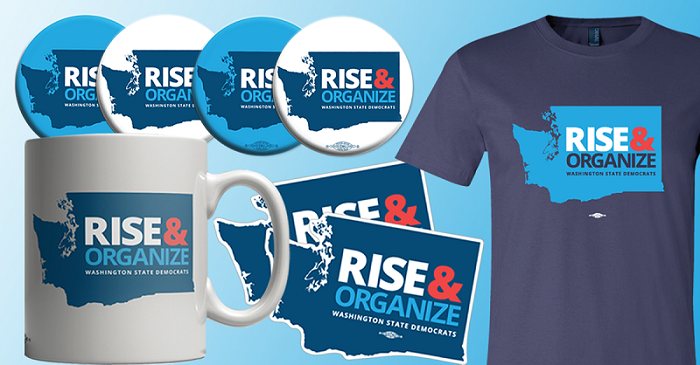 If you would like to sign up to attend an Organizing Academy or join a canvass, check out our calendar here. And remember to check back often as we’re constantly adding new volunteer opportunities. You can also follow our Facebook page and find (and share!) our events from there. 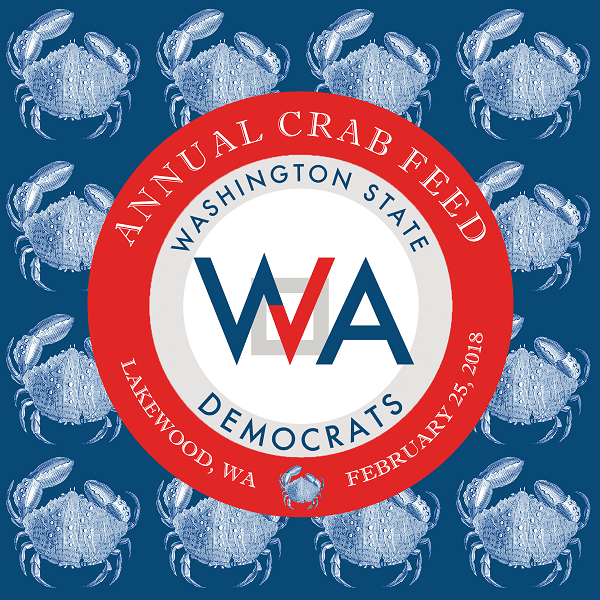 Our Democratic elected officials have been tirelessly defending our coastline both here and in the other Washington from the Trump administration’s attempt to expand access to offshore oil and gas drilling. Senator Maria Cantwell recently led a bicameral, bipartisan group of 16 Pacific Northwest lawmakers in a letter to Department of the Interior Secretary Ryan Zinke telling him to keep the administration’s hands off the coasts of Washington and Oregon. And just this week, Senator Maria Cantwell met with local leaders, business owners, and fishermen in Westport to discuss the detrimental impacts of opening our coastline to more drilling. Senator Patty Murray has been leading a successful social media campaign to show Secretary Zinke just how much our coast means to the people of Washington State. You can read about her efforts in a powerful Medium post she recently published. 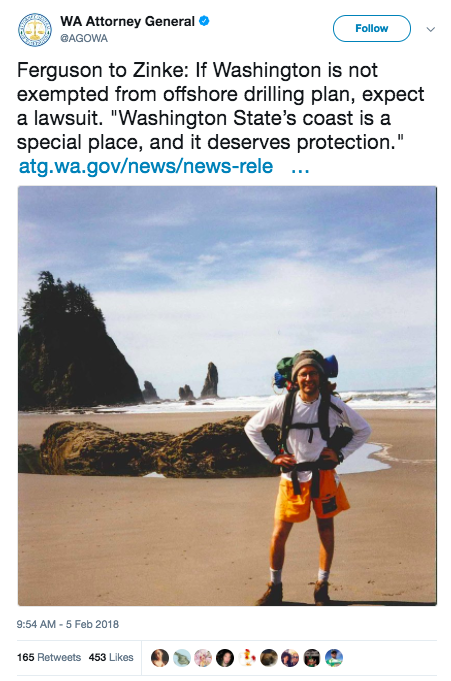 Here in Washington State, Governor Jay Inslee, Attorney General Bob Ferguson, and Public Lands Commissioner Hilary Franz are united in doing whatever they can to thwart Trump’s plan to open our waters to drilling, including filing a lawsuit. Yes, that IS a picture of a young Bob Ferguson. BIG NEWS! We are giving away two tickets to the hit Broadway show Hamilton at the Paramount Theatre in Seattle on Friday, March 9th! Chip in $5 (or whatever you can) to be automatically entered!